My future pro ran the bases following the Indians game this afternoon! 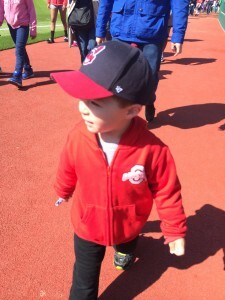 He was excited to get down on the field at “the baseball place” for the first time this year, as evident in the picture above. 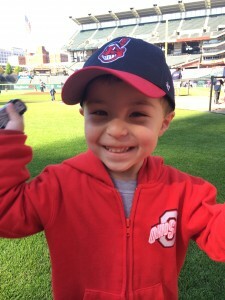 He ran with a big smile on his face and a new Indians car in hand (purchased earlier in the day at the Indians Team Shop). 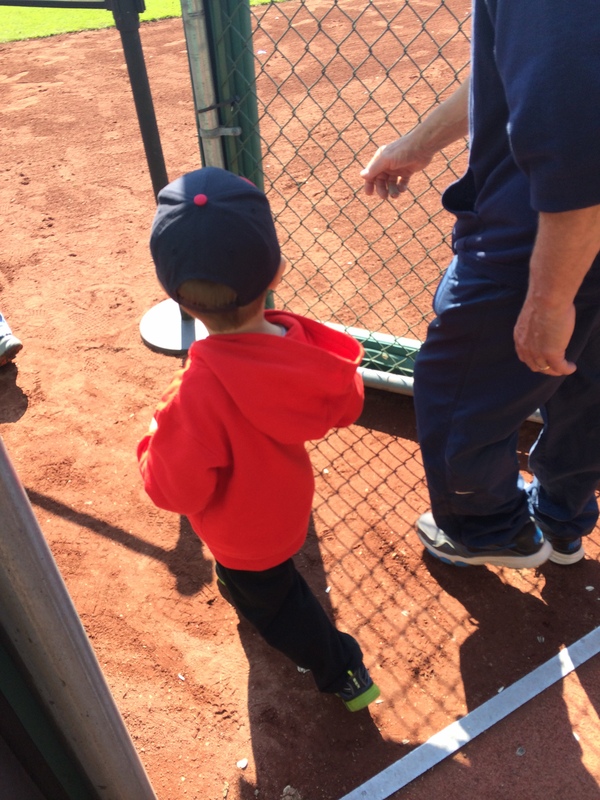 It was the first of at least three, maybe four, times that Alan and I will head to the ballpark for a Sunday afternoon home game this season. Definitely one of our favorite things to do together.